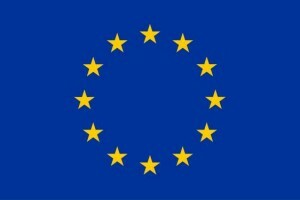 Bulgaria is one of the 26 Member States of the EU (without Ireland and the United Kingdom), which are bound by the Directive 2008/115/EC of the European Parliament and of the Council of 16 December 2008 on common standards and procedures in Member States for returning illegally staying third-country nationals. Article 8 (6) of the Directive introduces an obligation for all member states to create an effective system for forced return monitoring. 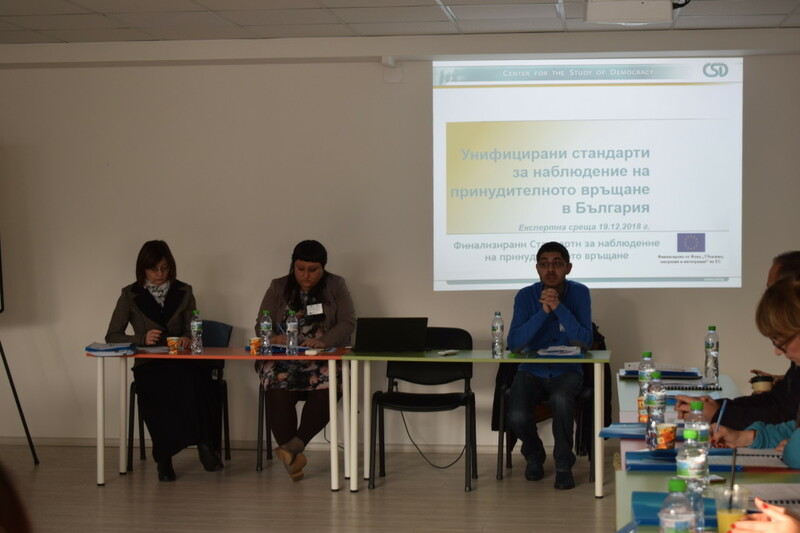 As a contribution to the fulfilment of this obligation for Bulgaria, on 19th December 2018 the Center for the Study of Democracy and CVS-Bulgaria organized a final expert meeting, part of a national initiative for developing and implementing unified standards for forced return monitoring, realized with the financial support of the Asylum, Migration and Integration Fund, co-financed by the European Union. During the meeting, the Center for the Study of Democracy presented a guidebook with standards for forced return monitoring in Bulgaria. The guidebook was developed based on an exhaustive desk research on European and national regulations in the field, expert interviews and a visit for exchange of experience and good practices in Vienna, Austria. The standards were then put to practice by experts from CVS-Bulgaria and the Center for the Study of Democracy, who took part as monitors in forced return operations, executed by the Migration Directorate of the Ministry of Interior in Bulgaria. 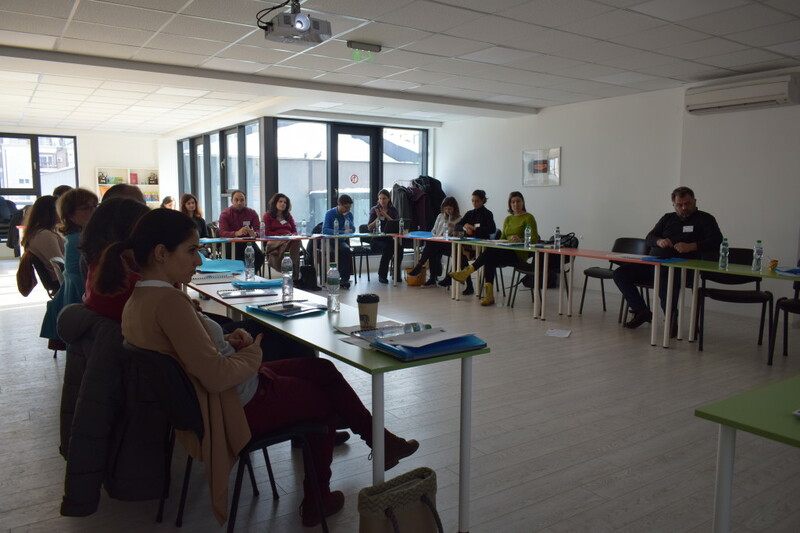 Following their practical testing and using the experience gathered from the field work, the standards were finalized and presented for discussion in front of specialists in the field of migration and forced return. Mr. Hristo Atanasov, Chief Expert in the National Preventive Mechanism and Fundamental Rights and Freedoms Directorate within the Ombudsman of the Republic of Bulgaria joined the first part of the event by presenting the experience of the Ombudsman institution in the field. In the second part of the meeting recommendations were made and discussed on how to develop the regulatory framework as well as how to set up a national mechanism for forced return monitoring in Bulgaria. The event was attended by participants from 3 Directorates within the Ministry of Interior – Migration, International Projects and European Union and international cooperation, the National Preventive Mechanism and basic human rights and freedoms Directorate within the Ombudsman of the Republic of Bulgaria, UNHCR, Foundation for access to rights – FAR, Center for legal aid “Voice in Bulgaria”, who participated actively in the discussion.